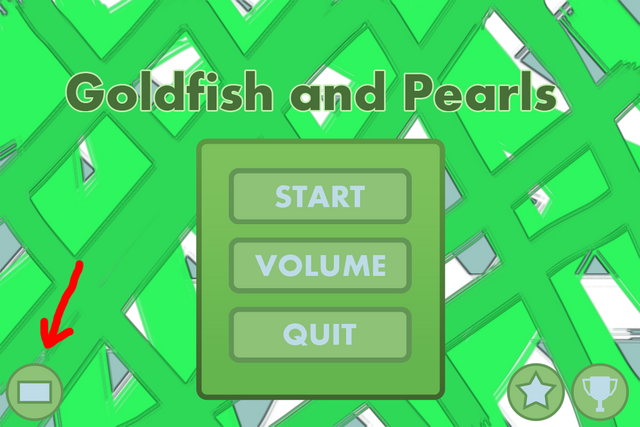 So... its a game where you collecting pearls, while avoiding goldfish, that gonna bite you. If it happens, game over screen appears, where you can retry or quit to main menu. 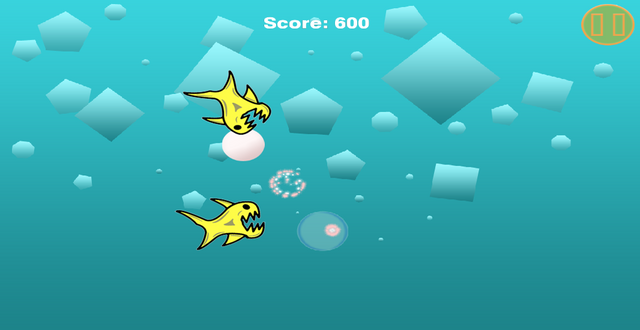 If you keeping your finger away from fish, game continues until you get bored . I mean main mode in this game is eternal mode, but while playing it you unlocking medals, which you can checkrch High Scores screen. 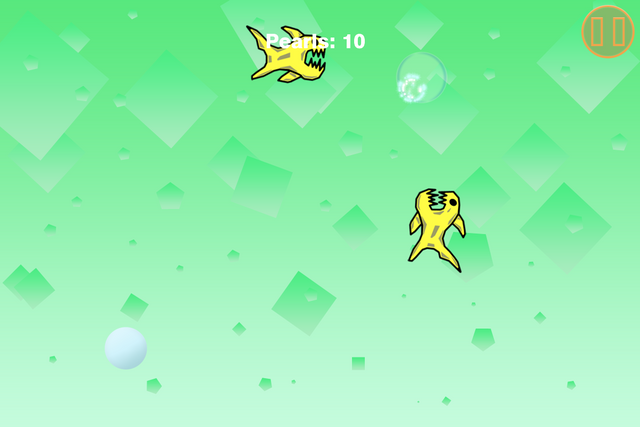 Also there's an Extra Mode, where you can accomplish five levels. Its kinda challenge mode. Extra Mode looking little different from main mode. 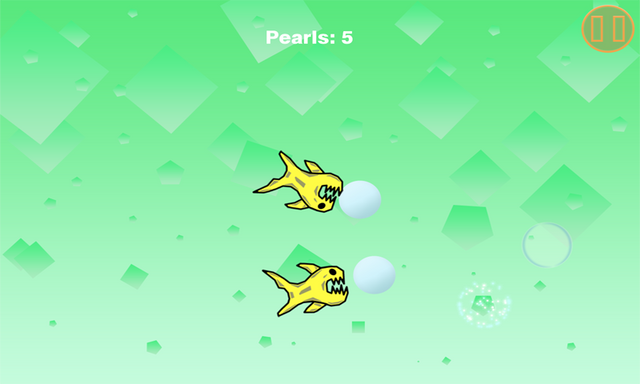 Put your finger on bubble in the center of the screen and game will start, move it to maneuver around, try to get as much pearls as you can, and that's it. In this game it could be a problem to pause it. So i decided to add a Quick pause. To pause game quickly, you tapping bubble again after game started. In fact every tap on bubble toggles pause. 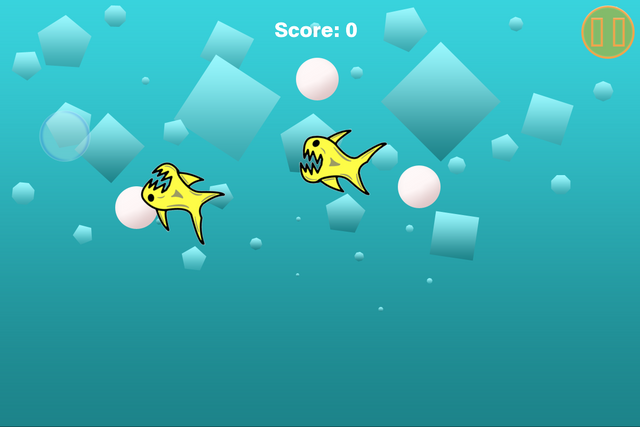 While Quick pause, pause button in top-right corner becoming a menu button and you can tap it to get game menu. If you pause game in regular way game menu will appear instantly, and resume button will unpause game, while in Quick-pause its only hiding menu. I made display mode switch for this game. By default screen is stretching to the edges of the display, you can switch it to original resolution mode( I mean it will fit original resolution into current display, which most likely will cause black borders ). 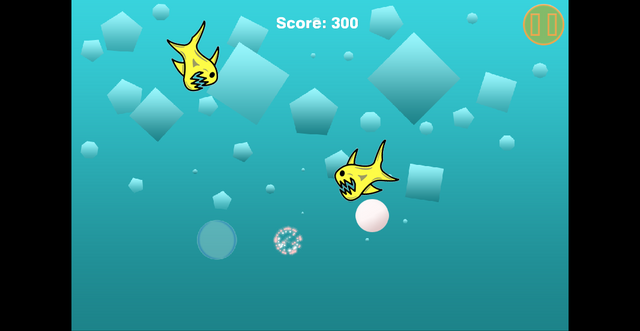 Game powered by LibGDX and "display modes" is basically are viewports: Stretch viewport and Fit viewport. P.S. 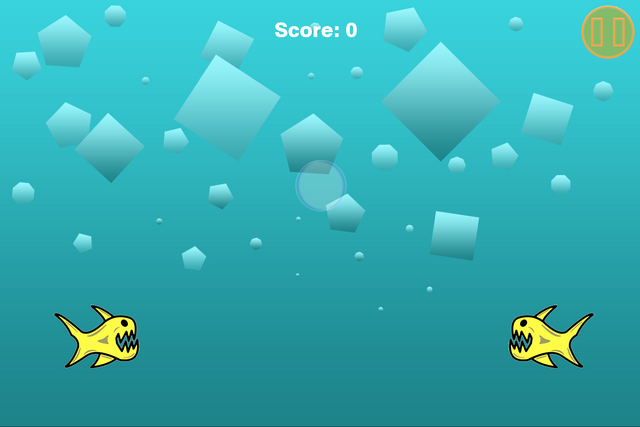 while playing you can hear ocean waves sounds, you can say that kinda bubbles ambient expected there, because it looks like its underwater. But i tried it and it seemed little distracting to me, also waves sounds better, in my opinion.